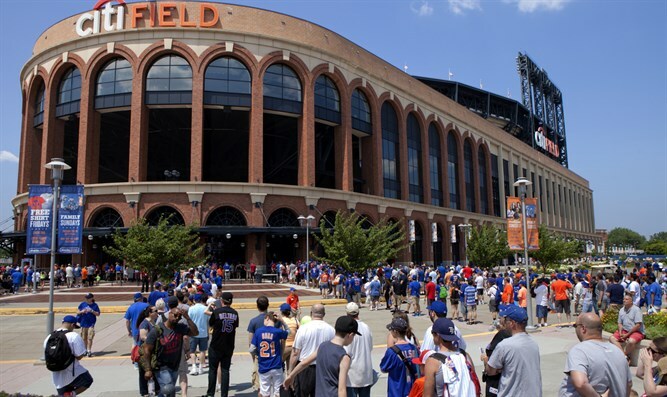 Orthodox Union holds second annual 'Torah New York' in Mets Stadium in Queens. JTA - More than 2,000 people came to Citi Field in New York on Sunday — not to root on the Mets, but to revel in Jewish learning. Some 38 scholars led classes on traditional and contemporary Jewish topics at the Orthodox Union’s second annual Torah New York. Rabbi Tzvi Hersh Weinreb, executive vice president emeritus of the O.U., spoke about addiction in the Jewish community. “Five years ago we had a problem with OTD (‘Off The Derech’), today it’s OD (overdose),” said Weinreb, who has a doctorate in clinical psychology from the University of Maryland, using a term for those who leave the practice of Orthodoxy. Sivan Rahav Meir, a prominent political reporter for Israel’s Channel 2 News who became Orthodox as a teenager, addressed a session on new technologies and religious faith. The event was held in convention space inside the Mets’ nine-year-old stadium in Queens.